The Fresh Cut Flowers stamp set by Catherine Pooler Designs is full of cute garden images. Fill the cart with your favourite flowers or cute dogs, either with or without the awning image. There are two flower pots that can be filled with your favourite flowers too (or the dog). Use the coordinating dies to make quaint scene cards. There are nine dies in the coordinating die set (sold separately) for all the main images. 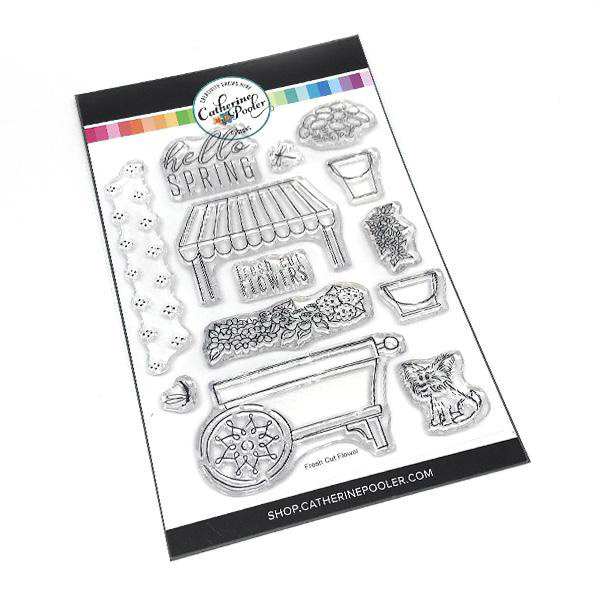 Catherine Pooler Designs coordinating dies are made from stainless steel in the USA.